Let me begin by sharing my reduction story, which is the inspiration for creating Stay Lymphie Strong. I have primary bilateral lower extremity Lymphedema (LE) coupled with Chronic Veinous Insuffiency (CVI). When I was about 10 years old, I was scratched by a cat which caused a staph infection that required hospitalization. My lymph node had hardened, and I had 104 fever. This would be my first and only bout with cellulitis to date. Lymphedema later started on the right foot in 1994 and slowly crept up my leg over the span of 13 years. I was in denial for many, many years even though I knew deep down that I had inherited it from my father. My foot honestly did not look that bad. In fact, it was very mild in comparison to my father. In my 20’s I maintained excellent physical fitness even after the birth of my son, and became an expert at hiding my embarrasing leg. 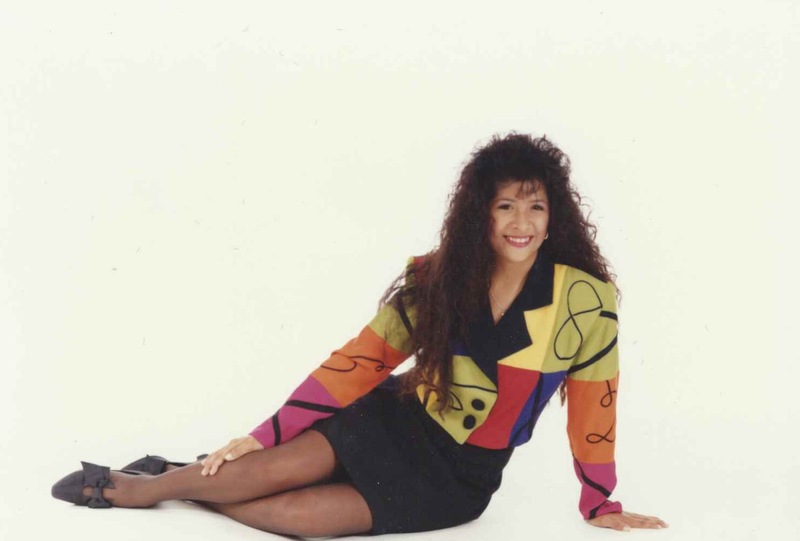 I was a size 4 at one point, lifting weights and kickboxing to my heart’s content. Lymphedema was there lurking in the shadows though. Creeping up at dusk, shoved in an athletic high-top to perform advanced step aerobics, and pounded into submission for bedtime. Thankfully, my leg would reduce to normal by each morning. 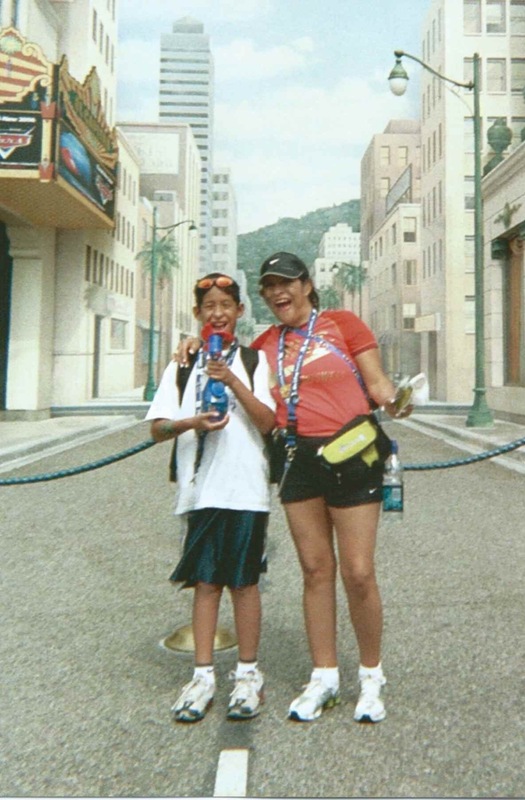 This was a trip to Disney California in 2006. A full day walking at an amusement park. My left leg is still normal here. In 2007, LE spread to my left leg. 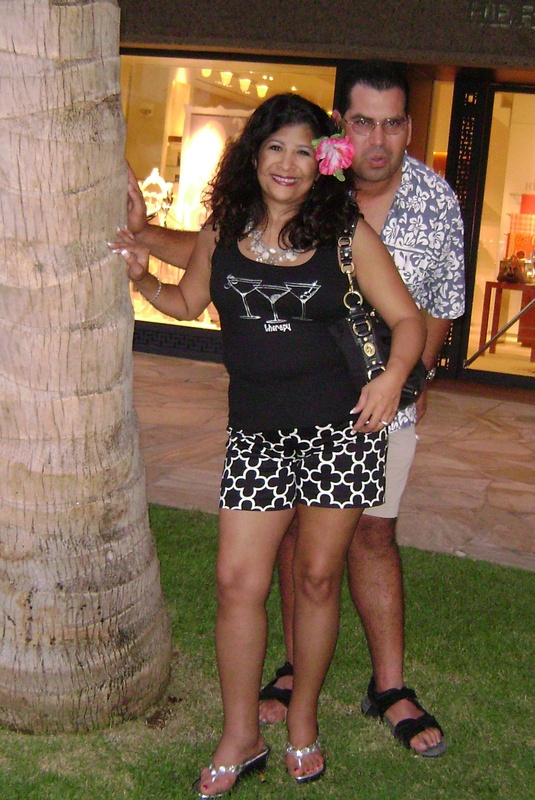 This picture was taken in Honolulu, Hawaii after an 8 hour direct flight from Texas with no compression in either leg. Within a few hours of landing is when I began to notice the spread. In 2010, I had tried reduction, but I failed. I was still somewhat in denial and still hiding my legs. Cute skirts, shorts, and dresses were eliminated from my closet and donated to charity. I stopped going to the gym. Arguably one of the worst decisions I ever made at the time, because I thought there is no way I was going to wear those hideous beige garments on my legs for the world to see. I hated the color beige. My heart broke even further when I began to wear flat shoes. Life with cute shoes became a faded memory. 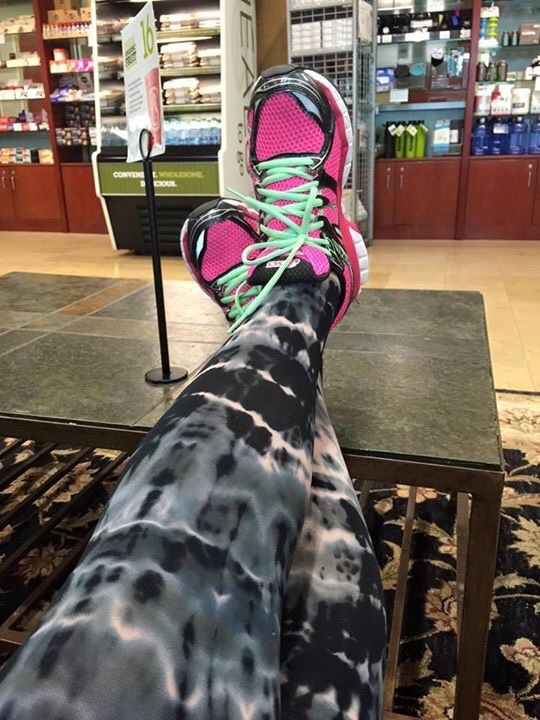 This picture was in October 2014 of my legs using a compression pump and stockings during the day, nothing else. After 4 years the pump had stopped reducing for me. I was devastated. Slowly I transformed into someone I myself did not recognize and gained 75 pounds. I had gotten to the point to where I could barely walk, and I was in excruciating pain. My legs felt like they would pop wide open at any given moment. I was always extremely fatigued and foggy. It’s pretty hard to concentrate when you are in constant pain. To the world I was slowly withdrawing from social and productive activities, and in my private moments I was depressed and cried almost daily. Those of us that live with an invisible condition know all too well. After 20 years of allowing LE to creep up out of the shadows and take control of my life, last November I started on a journey of real transformation. The first step of the journey was going back to Complete Decongestive Therapy (CDT) last year. By then I had progressed to Stage 1. My goal was simple, just to fit into shoes again. It took me 6 months to complete that milestone. 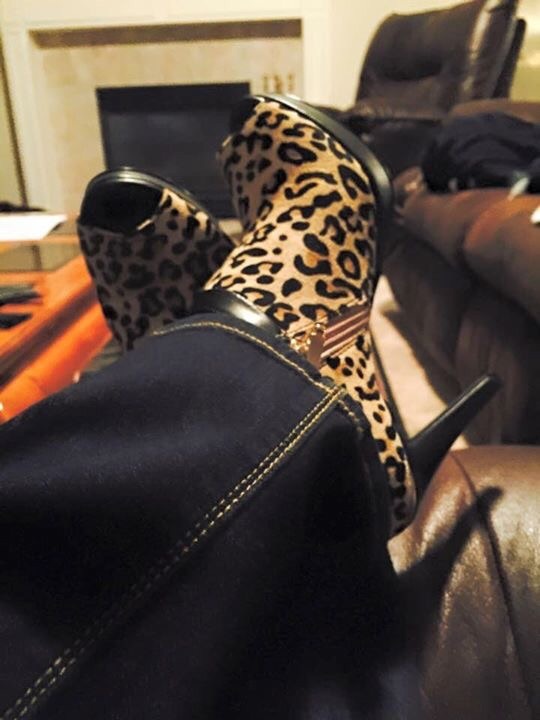 These are the leopard shoes I wore on date night with my husband to celebrate. Just dinner with my husband, nothing fancy, but felt feminine for at least a couple of hours. Like the old me. This summer I finally saw all my knee bones, and I have also lost 35 lbs. As you can see, this is a vast improvement from where I started in November 2014. 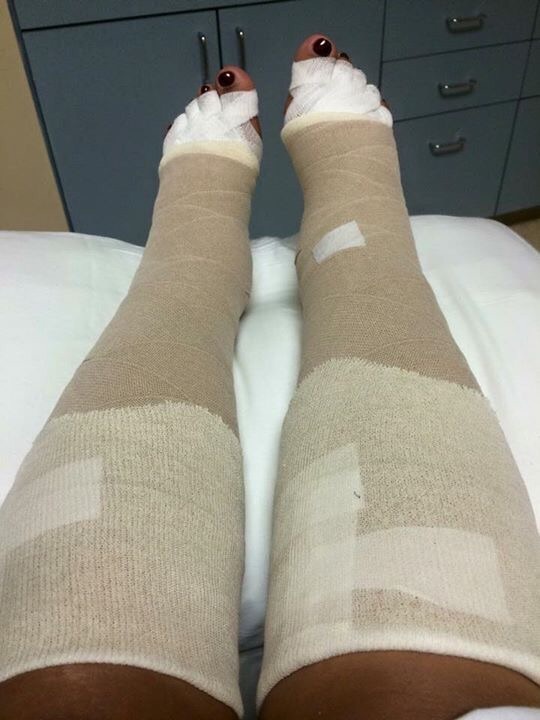 A Lymphedema transformation is in full swing. Lymphies always get excited to see bones again instead of swelling! The main point of this post is to demonstrate that reduction transformation is possible. Do not lose hope. You can reduce, despite the odds and despite what anyone else may have told you. 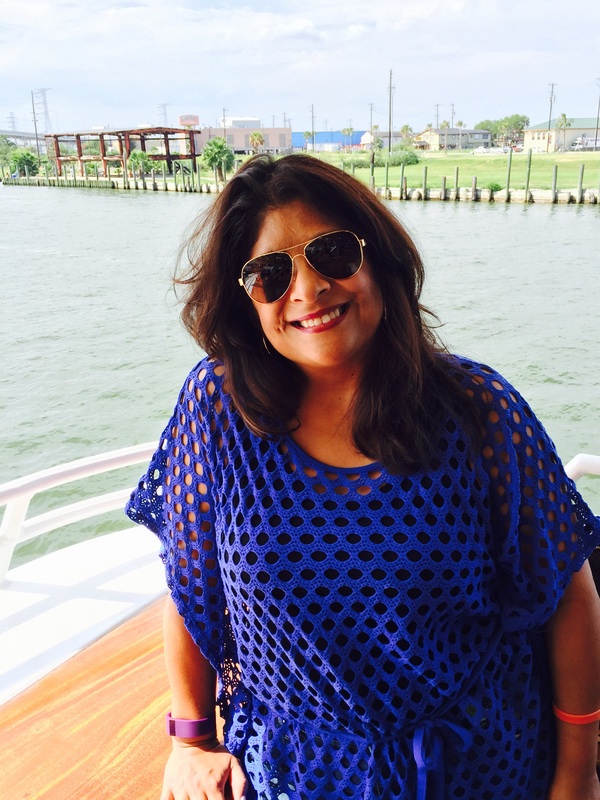 There is no one single “one size fits all” solution, but this is what happened to me and what worked for me. Prior to joining social media groups, I only knew myself, my Dad, and my cousin with LE. They only had one leg affected though. Now I know we are 10 million strong. 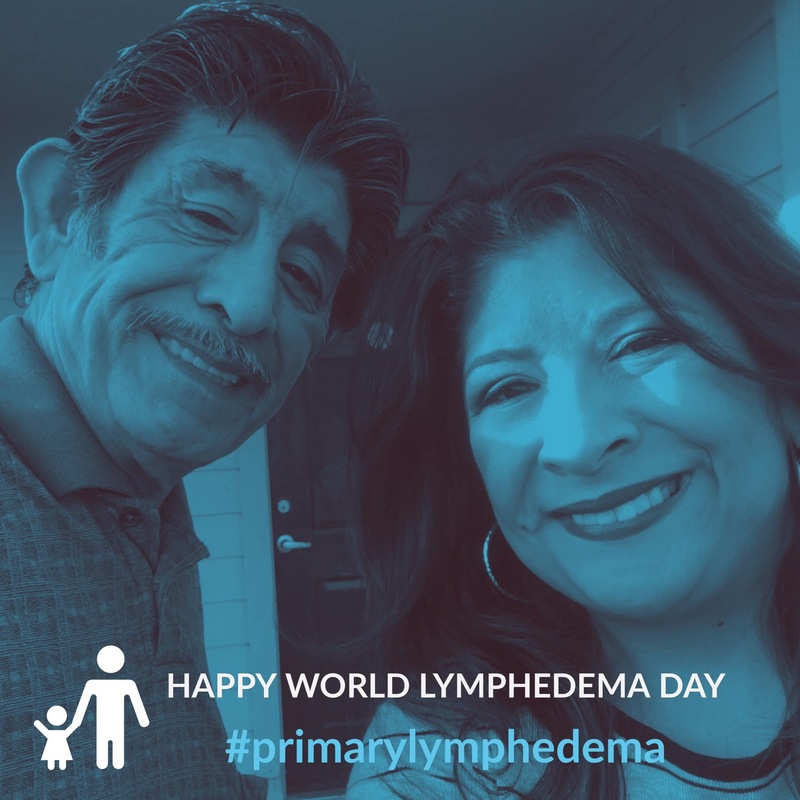 We are gaining more momentum and awareness than ever before thanks to the Lymphatic Education & Research Network, the National Lymphedema Network, and most importantly the Lymphedema Treatment Act. The journey to reduction and maintenance will be tough, no doubt. 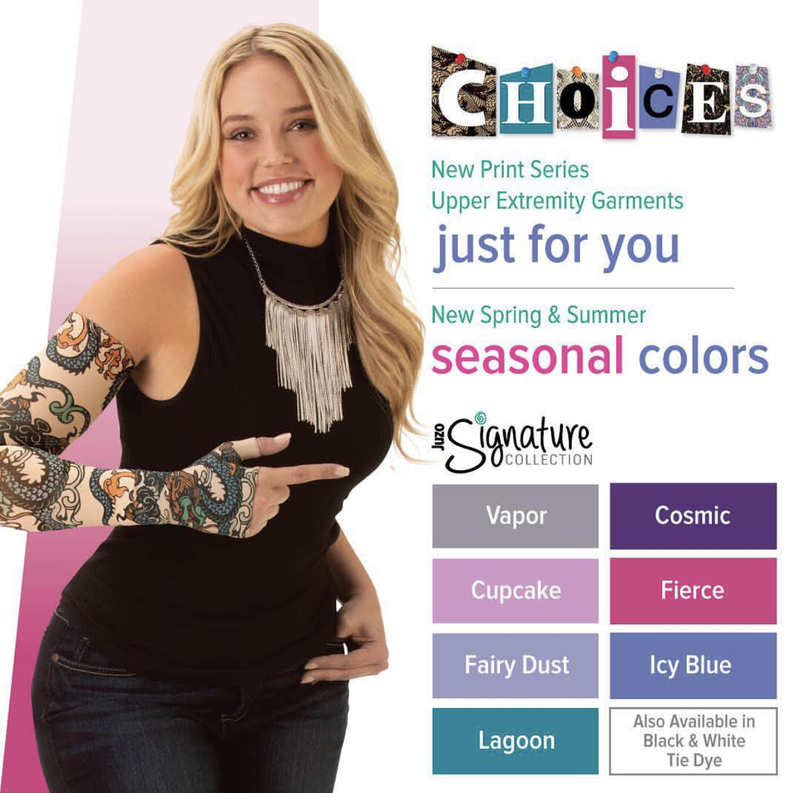 Odds are if you have Lymphedema, you probably battle other conditions along with it. You are tougher than you think. Perhaps you will have moments of despair and cry on the floor like I did when I found out I needed 23/7 compression. I thought, “How am I going to do that in 105 F Texas heat in the summer? !” Yet, I did it. 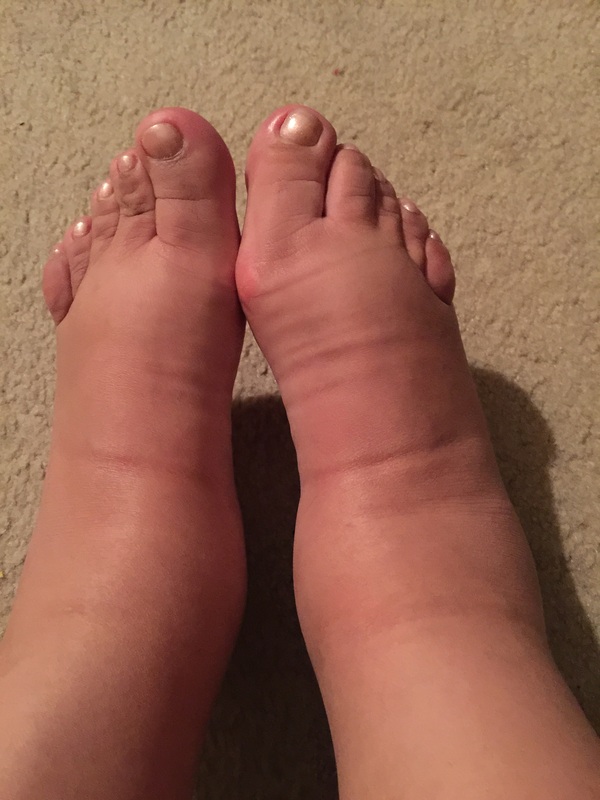 My blog is not medical advice, as Lymphedema is currently incurable. However, I firmly believe there will be a cure some day. I spent years feeling sorry for myself, and it didn’t get me anything but more swelling. 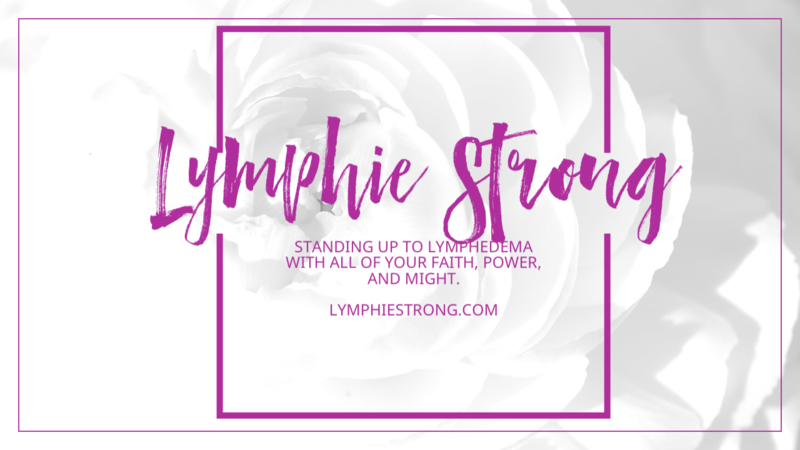 With goals aligned to Stay Lymphie Strong, I can manage Lymphedema, and take it one day at a time. One of my next goals is to lose more weight. I also want to help others and spread awareness of this degenerative condition. Future blog posts will delve deeper into each component of reduction as it worked for me personally. Again, not medical advice. God is not done with me yet. I plan to Stay Lymphie Strong! This article has given me life. Thanks so much for sharing your story. I so long for the day to wear shorts again. Thanks Beautiful for sharing again. It’s nice to not be alone with this. I always say that too, Gods not done with me yet! I would love to hear about you process of how you maintain. Thank you so much for taking the time to share your story. You’ve been an inspiration to so many of us and I know I speak for myself as well as others when I say we are super excited that you have started a blog. Can’t wait for more! Great encouraging blog post! Thank you for sharing your story, it helps give the rest of us hope. Such an inspiration you are to many!!! I look forward to reading more of your blog!!! 😊. Love you! I am a CLT and I aim to be my patients biggest advocate as well as educator. This article is truly inspiring and you nail it with pointing out how important it is to maintain healthy skin, nutrition, exercise compression and lymphatic drainage…lifelong. it is so important not to miss steps and I see patients often times that do or have not been taught all the areas in prior settings. A great reminder to myself and all felllow CLT s in this field is never to skip any points of complete decongestive therapy and educate, encourage, reinforce outcomes. Thank you for sharing. Thank you so much for your wonderful feedback. You and your colleagues are critically important to patient success. That is indisputable. I, for one, am forever indebted to my recent therapist. She literally changed my life forever. I wish I could nominate her for therapist of the year. She is not, however, on social media, so I have to respect her privacy. Best wishes for continued success with all of your patients. I have primary LE in both legs. I am also a paraplegic and am in a wheelchair about 10 hours a day. My LE is under control because I wear Juzo compression waist high stocking while in the wheelchair and use Lymphpress pump while in bed. I can’t tell you how much it meant to me to read this. Sometimes I really do feel hopeless, though I realize I don’t have nearly as severe a problem as many do. But despite a LNT, my fat leg is growing rather than shrinking. I live in GA where it’s hot and humid, so I hate doing compression. Even worse, my insurance no longer helps with the expense of replacing flat knits or my tribute..aka my shotgun case. So I make do with the old ones as best I can. I go back this month for another round of wrapping and decongestive therapy, and I will try to be patient with that. Thank you again for offering hope. Love , love you ! !💝💝 thank you for being you and sharing you with the rest of us!! I love your story and I love the fact you have told it. You will be an inspiration to many. I own a medical boutique that specializes in Post-Breast Surgery and Compression Products & Fitting Services. I wish you could be there with our team to give our clients hope, motivation and inspiration. I’m know God is using you already…just by sharing the transparent, honest and hopeful story you have. Thank you for your kind words and wonderful message. This was written 3 years ago when I launched this blog. In my family, we had this for at least 3 generations and 6 family members impacted.